Dr Zelman is a renowned Russian-American scientist and one of the pioneers of Neuroanesthesia. He obtained his medical degree from the Novosibirsk State Medical Institute in 1959 and has practiced medicine ever since. While a young physician, he successfully defended the Candidate of Sciences thesis at the Institute of Experimental Biology and Medicine (now Academician E.N. Meshalkin Research Institute of Circulation Pathology), where he continued his research career in 1961-1965. During those years, Dr Zelman became interested in anesthesiology and got closely involved in the development of new strategies of brain protection during open-heart surgeries. In 1965, Dr Zelman took the position of Senior Research Associate with the Laboratory of Anesthesiology at the Department of Pediatric Diseases of the Central Institute of Postgraduate Medical Education, Moscow. Four years later, he became the head of the research program on developing brain protection protocols, joint project of the N. N. Burdenko Neurosurgery Institute and Institute of Neurology of Russian Academy of Medical Sciences (RAMS). In 1976, Dr Zelman moved to the United States, where he made a successful career at the Keck Medical School of the University of Southern California (USC), Los Angeles. He is currently a Professor and Co-Chair of Anesthesiology Department at the USC Keck School of Medicine. He is also Professor of Neurology and Neurological Surgery. Dr Zelman has authored 25 book chapters in the field of Neuroscience and more than 170 papers published in the major scientific journals. However, Dr Zelman has never left clinical medicine and continually seeks the best ways to translate the research into clinical practice. He is affiliated with a number of Keck School of Medicine medical centers including University Hospital, Children’s Hospital, and USC Norris Cancer Hospital. Dr Zelman actively serves international professional community: he is a member of 16 Editorial Boards of leading journals in the field of (neuro-) anesthesiology and neurosurgery, and member of 15 National and International Societies of Anesthesiology. Dr Zelman devotes a special effort to Russian-American scientific cooperation and development of medicine in Russia. One of the outcome of this collaboration is the monograph “Evidence in Neurotraumatology” published by the N.N. Burdenko Scientific Research Institute of Neurosurgery. Dr Zelman is an elected Foreign Member of the Russian Academy of Sciences and RAMS. Also he is a Honor Professor in multiple medical schools including Military Medical Academy in St Petersburg, Novosibirsk Medical University, National Petrovsky’ Center of Surgery. 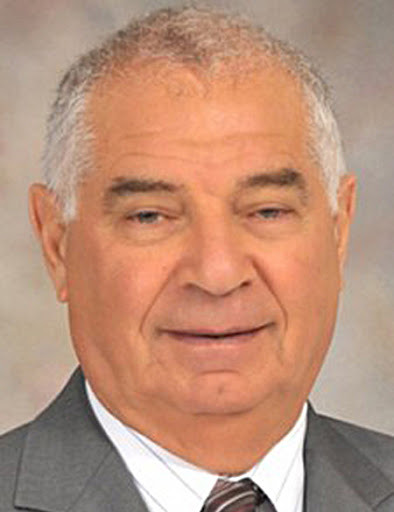 Dr Zelman is also Member of International Academic Council of Novosibirsk State University, Consulting Professor of I.M. Sechenov First Moscow State Medical University and Pacific State Medical University, Vladivostok. His research interest is in brain preservation, protection and regeneration in stress circumstences. He is officially coordinator of “Enigma” project USC-SkolTech “ Neuroimaging, genetic brain mapping and big data”. He is also mentor of SkolTech visiting students to University of Southern California.